During the early 20th century, storefront nickelodeons gave way to stand-alone buildings where both movies and vaudeville acts were on display. While there were ornate movie “palaces” in downtown areas, there also were smaller, usually less fancy theaters in many neighborhoods. Area residents came to these local theaters for second-run feature films, newsreels, vaudeville, and local community events. Also, many neighborhood theaters offered Saturday matinees for children. Managers chose entertainment offerings based on their perceptions of cultural, racial, and economic demographics. By 1916, 120 movie theaters were in operation in the Twin Cities. But also around that time, some theaters began to close as first regional and then national theater chains replaced local owners and took over control of which movies were shown. Additional neighborhood theaters closed in the late 1920s with the advent of “talkies” because theater owners did not want to foot the bill for a new technology that might not last. There were still movie theaters within walking distance of most local residents, but the walk got longer. As decades went by, access to radio, television, and cars also helped to reduce the number of neighborhood theaters and influenced what they were showing. Meanwhile, as the business of movie theaters changed, movie theater architects were paying close attention to the latest fashions. Today there are five buildings in Minneapolis’ Uptown neighborhood -- often referred to in the early 20th century as Minneapolis’s “Gold Coast” -- that either once contained movie theaters or still do. 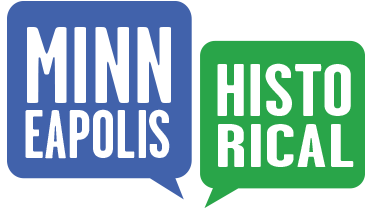 These five buildings represent changes over a 100-year period in the social, commercial, and architectural history of Uptown and the Twin Cities. All buildings described are open to the public. Edited by Richard L. Kronick, “Introduction to Uptown Movie Theaters ,” Minneapolis Historical, accessed April 22, 2019, http://minneapolishistorical.org/items/show/158.